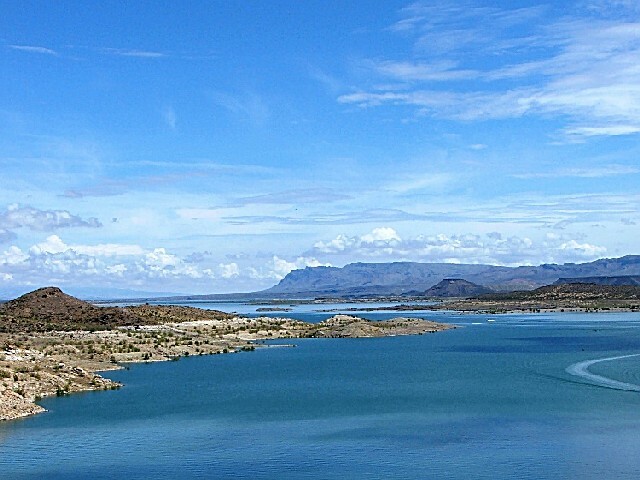 Elephant Butte, is the largest lake in New Mexico. A few hours south of Albuquerque the Butte offers ideal springtime stripper and year round bass fishing. Located a few hours south of Albuquerque, take I-25 south to exit 83. Follow the exit to NM 195, continue following signs to Elephant Butte Lake. Fishing is fair for largemouth and smallmouth bass using tubes, jigs, crank baits and jerk baits. Fishing for crappie and white bass is good using minnows. Crappie fishing is good using sassy shad, tubes and crank baits.